Simi Valley is undeniably one of the most attractive cities in Ventura County, CA to live in. And among the things that make owning a home in this city attractive is the amount of skilled tradesman available for home-related services. Highsmith & Daughters Plumbing Inc has distinguished itself as one of the best companies offering quick emergency plumbers in Simi Valley and the larger Ventura County area. Our track record and online reviews speak volumes about our company. Discovering a plumbing emergency in the middle of the night or during a holiday can be downright inconveniencing if not disturbing. This is because most plumbing companies in town have closed business after 5 PM and on weekends. And even those that are still on at such a time may only take too long to respond to your request. That’s why we offer you the most efficient 24-hour plumbing service within Simi. Our fleet of vans are always equipped with a set of replacement parts and tools, ensuring our team responds to emergency call-outs almost immediately. It doesn’t really matter where in the city you are located. Just give us a call and our experienced emergency plumbers will arrive at your doorstep within an hour and get the problem fixed in a short time. What Kind Of Plumbing Crises Do We Attend To? We take care of all critical plumbing situations affecting both residential and commercial clients. To us, there’s really no big or small emergency. We have all the expertise and tools to fix a plumbing problem of any magnitude. How much does our 24/7 service cost? The cost of a 24/7 service call itself depends on what day and time you need us to come plus the distance we are traveling to. That price we will quote you when you call us. The additional cost would be based on how severe the problem is, and it’s something we will evaluate when we get to your place. We are always honest and fair about our pricing. We don’t extort our clients when they contact us for emergency services. Rather, we are concerned about giving better value for their money. Our pricing is straightforward. 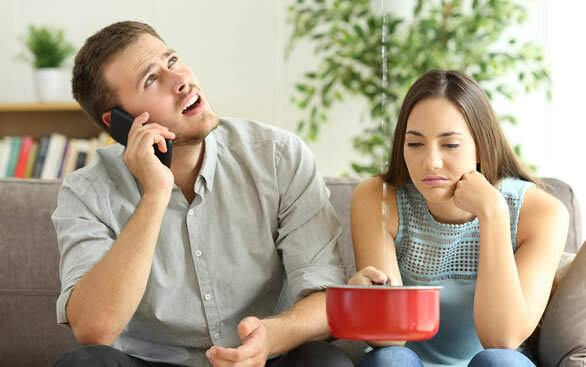 Again, the exact cost of an emergency plumbing repair service is largely dependent on the type of problem that needs to be fixed and the extent of the damage. So don’t ever panic when thinking of contacting us because we are all about providing dependable emergency solutions at the fairest market price. As one of the leading plumbing companies in Simi Valley, we are committed to ensuring all residents of the city get an efficient and reliable emergency plumber. Our licensed plumbers can get to any part of Simi, whether you’re located in the city center or on the outskirts. All you need to do is describe the nature of your emergency problem, give us your address and we’ll be there as soon as possible. You can see more of our service on our home page or call us directly at 818-602-8113.